Locked Out of your home or business? did you misplace your car keys? Did the key break in the door lock? Is your transponder key not working? Keys 4 Cars Locksmith Katy – Perfect for residential and Commercial Services offer inexpensive, dependable locksmith services in Katy. We have the most knowledgeable technicians and friendly customer service to ensure that your needs are met, no matter the car key problem you may have. We have technicians standing by 24 hours a day, 7 days a week, including holidays. Our technicians are professionals that can perform lock picking, ignition key replacement and transponder key programming on the spot, no towing. Our technicians are fully licensed and certified. One of our expert technicians can arrive to your location within 30 minutes of receiving your call. Not only will our technician arrive, but will have all the necessary tools, high quality products, and equipment to solve your locksmithing problems, right on the spot. We are available day or night and use the latest GPS technologies to ensure we arrive to your location in the shortest amount of time. 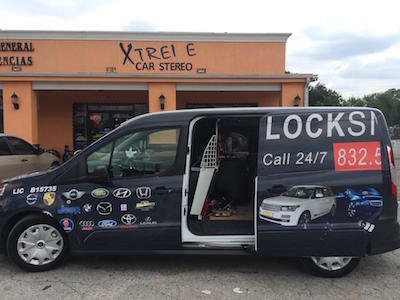 Xtreme Keys for Cars Locksmith Katy is an honest, friendly, trustworthy service that has been present for you around the city of Houston, Texas. More than mere locks can be fixed by us every day. Therefore, you can completely trust us. In order to call us, you must not hesitate at all. By looking through our services, you can easily know about our specialty areas of services. On most occasions, we provide three types of locksmith services. They are Automotive Locksmith Services, Residential Locksmith Services and Commercial Locksmith Services. Keys 4 Cars Locksmith Katy is especially known in the area for their emergency services related to the car. We are capable enough to offer you service 365 days in a span of a year. Even you can get service from us on Sundays and Holidays. Our professionals can be sent to your location any time of a day and night according to your convenience. Therefore, you may not have to alter your schedule at all. Every professional of our company has received 40 hours of rigorous training to unlock a car in minimum time. Reliable and quick service is offered at a pocket friendly price. Due to strict selection process of our company, only one out of 10 people are allowed to work with us. Standards of the services are maintained every time. Process of car locking services is extremely difficult. Still, we are able to provide successful results at the end of each project. Chances of unnecessary duplication can be avoided in the process. Due to remarkable advancement of technology, car keys from every possible model can be duplicated. 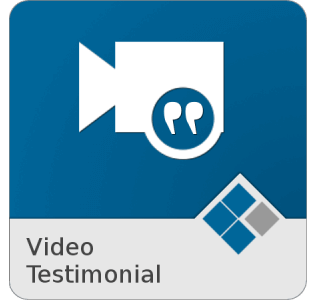 Our professionals have acquired knowledge to replicate a key along with its program. Technician can program a transponder or smart keys easily. If you have lost a key or it is stuck in the keyhole and damaged then this method can be used to deal with the situation aptly. In addition to above services, you can ask for ignition key repair or commercial car services also. 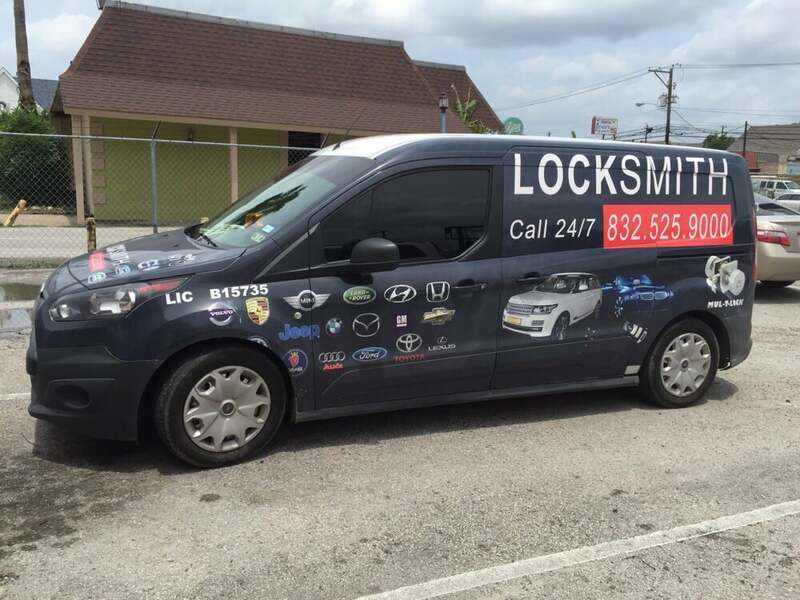 We offer locksmith Katy TX Auto services for the major vehicle brands, which include Lexus, Dodge, Ford, Saab, Audi, Lincoln, Nissan, Hyundai,Cadillac, Volkswagen, Volvo, Chevy, Mitsubishi, Pontiac, Hummer, Chrysler, GMC, Honda, Kia, BMU, Buick, and many more. We provide the solutions you need for any make or model car or truck whether older models or brand new. We provide all our locksmith services in Katy from programming key fobs to key cutting. We are always there to help you. Professionals from Locksmith Katy can come to your house and replace the key without a single scratch on the door or window. Either you are locked inside or outside the house without a key; we can deal with the situation. Rapid and safe entry in to the house can be guaranteed in the process. Installation or repair of the lock can be done easily. Trained professionals can replace a lock naturally. Types and models may not cause any trouble on the occasion at all. Different types of hardware are utilized in a company to safeguard documents from the hands of intruders. Security and safety of the business can be maintained with the process. HIPAA guidelines are sustained at every possible occasion. Locks of doors even desks are retained in a perfect position. Services like dead bolts, door locks, maintenance of exit devices, locks of cabinets and doors in addition control system of highly priority nature are offered according to the requirement of the hour. At Keys 4 Cars, we stay abreast of all the latest technologies in the locksmithing industry as well as all the major vehicles to ensure that we provide the highest quality services to our clients in Katy. We have technicians that have experience working with all the major makes and models along with chip key, immobilizer, switchblade, and transponder keys programming or replacement. Keep our number without at all times, as you never when a car key emergency may occur. We have car key experts that can help you if you misplaced your keys or if the key broke in the ignition. At any time, you find yourself with a locksmith problem, contact us. Keep our number in your cell phone so you can contact us immediately. Keys 4 Cars offer Katy, TX affordable, dependable, and quality locksmith services. contact or Call us at any time at (713) 904-1030. Remember that we are just a call away so call now!